Nichola has worked at this setting since February 2008. NVQ Level 3 in Childcare - Learning and Development, Nursery SENDCO (Special Educational Need & Disabilities Coordinator), Paediatric First Aid, Safeguarding & Child Protection, Food Hygiene Level 2 and Health and Safety, trained in ‘Tiny Talk’ baby signing. Rachael has worked at this setting since July 2017. CACHE 3 in Childcare - Learning and Development, Paediatric First Aid, Safeguarding & Child Protection. Food Hygiene Level 2 and Health and Safety, trained in ‘Tiny Talk’ baby signing. 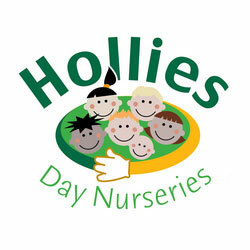 Lucia has been with Hollies Day Nurseries since October 2018. NVQ Level 3 in Childcare - Learning and Development, Bachelors degree in Early Years, Paediatric First Aid, Safeguarding & Child Protection. Food Hygiene Level 2 and Health and Safety. Alicia joined Hollies Day Nurseries in July 2015. NVQ Level 3 in Childcare, Learning and Development, Food Hygiene Level 2 and Health and Safety. NVQ Level 3 in Childcare Learning and Development, Safeguarding & Child Protection, Paediatric First Aid. Forest School Practitioner Level 3, Forest School out door First Aid, Food Hygiene Level 2 and Health and Safety. Rachael joined Hollies Day Nurseries in July 2016. Laura has worked at our West Bridgford nursery since 2010. Health and Social Care Level 2 and 3 - distinction, NVQ Level 3 in Childcare Learning and Development, Safeguarding & Child, Paediatric First Aid Protection. Maureen has worked at this setting since March 1999. NVQ Level 2 in Childcare - Learning and Development, Paediatric First Aid, Safeguarding & Child Protection, Food Hygiene Level 2 and Health and Safety. Charlotte joined Hollies Day Nurseries in May 2016. CACHE Level 3 Extended Diploma in Children & Young Peoples work force, Nursery Language Lead, Early Years Foundation Degree. Shannon joined Hollies Day Nurseries in May 2018. Working towards NVQ Level 2 in Childcare, Learning and Development, Food Hygiene and Health and Safety. Chloe joined Hollies Day Nurseries in July 2018. Courtney joined Hollies Day Nurseries in March 2017. Megan joined Hollies Day Nurseries in October 2018. Charlotte joined Hollies Day Nurseries in September 2018. Amy joined Hollies Day Nurseries in November 2016. Safeguarding & Child Protection, Paediatric First Aid, Food Hygiene Level 2 and Health and Safety. Jayde joined Hollies Day Nurseries in March 2018. Food Hygiene Level 2 and Health and Safety. caitlin joined Hollies Day Nurseries in December 2018. Lily joined Hollies Day Nurseries in November 2018. Level 3 in supporting teaching and learning, basic child protection, Food Hygiene and Health and Safety. 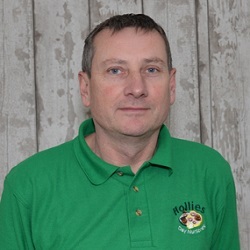 Sandra joined Hollies Day Nurseries in November 2018. Lisa has worked at Hollies Day Nurseries since June 2017. Lisa has a vast experience in the cleaning industry and has completed many courses including COSSH and Health and Safety, Safeguarding & Child Protection.